America’s top companies do more than pay lip service to diversity. Instead, they pursue it at all levels. But in tough economic times, since diversity programs are often the first to be cut, it is important to make the business case for diversity. This message emerged loud and clear at the recent Latino Issues Forum held at the Harvard Club of New York City. The over 150 participants were welcomed by James Huerta, president of the local chapter of the National Society of Hispanic MBAs (NSHMBA) and CEO of ResearchPAYS, Inc. 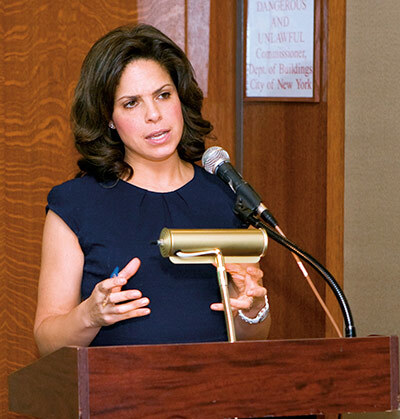 The keynote speaker was award-winning reporter Soledad O’Brien, who is currently filming a series called “Latino in America” to be aired in October. She informed the audience that during her 22-year career, there were never more people of color on television than today. At CNN, diversity in front of the camera makes sense because its audience is diverse. “We learned that the audience wins, and we win, too,” she explained. 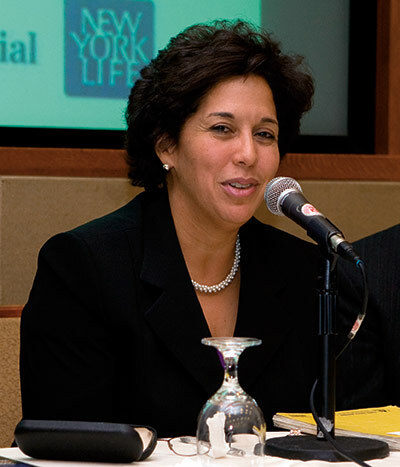 The panelists represented a unique cross-section of Fortune 100 companies, including: Ana Duarte McCarthy, Chief Diversity Officer, Citi; Nicholas Medina, president of the Latino Network at ExxonMobil; Monica Villalta, Director of Diversity Programs at the Kaiser Foundation Health Plan of the Mid-Atlantic States; Hector Vilchis, Assistant Vice President, New York Life; and Emilio Egea, Vice President of Human Resources and Chief Diversity Officer, Prudential Financial. Guatemala-born Monica Villalta has over 15 years experience in the health care field and is a graduate of the National Hispana Leadership Institute (NHLI). She offered the audience a different perspective on diversity, saying, “We need cultural competence at the intersection of health and culture.” In the health care field, diversity can be literally a question of lfe and death. Monica cited a case where a patient misread a prescription marked “once a day” and took eleven pills, since once means eleven in Spanish. At Kaiser Permanente, diversity is about providing access to patients and treating them with cultural competence. 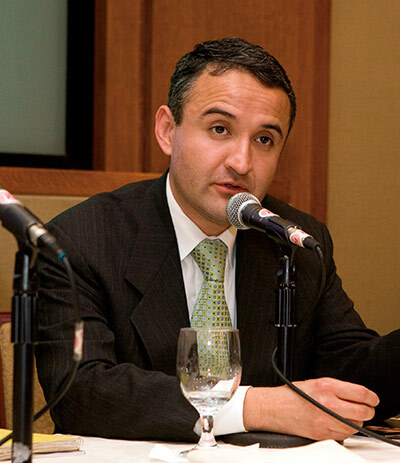 As Hispanic Market Manager, Hector Vilchis is responsible for the strategic planning and tactical implementation of New York Life’s efforts in the Latino community. The company takes a “total company approach” in what is essentially a relationship business, and approaches the market “one family at a time.” Over 30% of new hires at the company are minorities. Vilchis foresees much international growth, particularly in Latin America, citing a diversity initiative extending to 2020. Emilio Egea joined Prudential Financial after a varied career at AT&T and is a frequent speaker at colleges and professional associations on the subject of diversity. He spearheads a similarly far-reaching approach. “If your employees aren’t engaged, you’re not tapping your whole potential.” His goal is to internalize diversity so that it becomes second nature. One such program is “reverse-mentoring,” which teams up employees with differing perspectives and backgrounds. But the objective is to increase market share and drive revenue. The topic of this Latino Issues Forum was particularly timely, given the economic downturn and the threat of layoffs in the financial induistry. 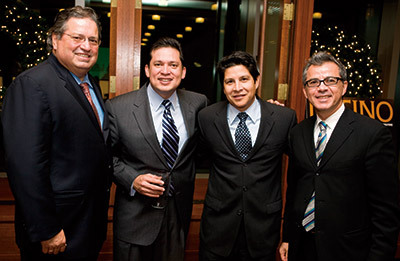 But the panelists all shared a passionate commitment to the Latino market at their respective companies. It is this unrelenting drive for excellence that best exemplifies the business case for diversity. 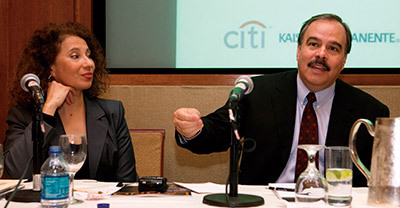 The Latino Issues Forum took place at the Harvard Club of New York City.